The Bassani 3" Catback with High Flow X Crossover for the 2011 5.0L Mustang GT will definitely make your pony roar! It produces an extremely aggressive, deep, throaty rumble that has the unique and exotic Bassani sound. This catback is much louder than the factory exhaust system and may not be legal in some states. This is a premium quality catback that will set your Mustang apart from the others! The Bassani Race Axle-back is a key component of the overall exhaust system that Bassani manufactures for the 2011 Mustang GT. Other key components include Bassani headers and X-pipes. 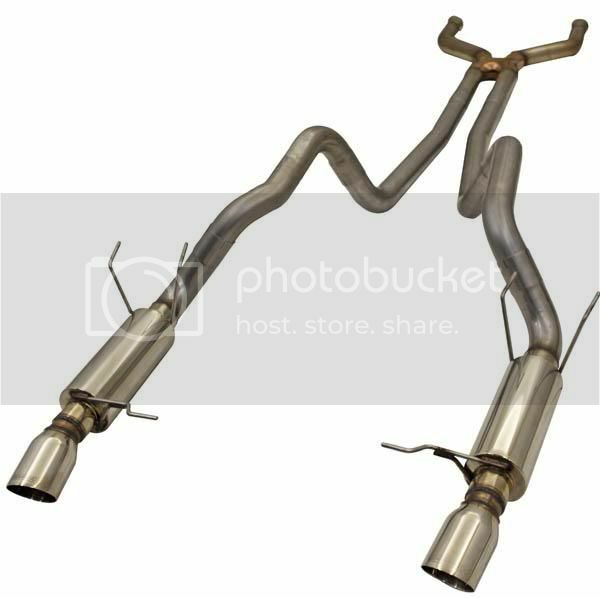 These premium quality components are designed to work together and they take your Mustang's exhaust system to the highest level of sound quality and performance!